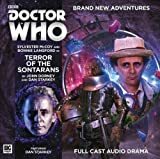 Terror of the Sontarans concludes the trilogy of main range stories for the Seventh Doctor (Sylvester McCoy) and Mel (Bonnie Langford). The adventure takes place on a mining facility, which is now acting as a Sontaran research base. The Doctor and Mel are responding to a distress beacon and have arrived to find the base seemingly empty. Deep down in the depths of the facility, they stumble across the original crew, whom are being held prisoner. Something is picking the crew off one-by-one and even the Sontarans are running scared. I’ll admit, I am one of the Doctor Who fans that doesn’t like how the Sontarans have been handled on the TV series recently. But, with this the writers have found an intriguing balance between the seriousness of the classic Sontarans and the silliness of modern Sontarans and the end result is a perfect blend of the two ideologies. 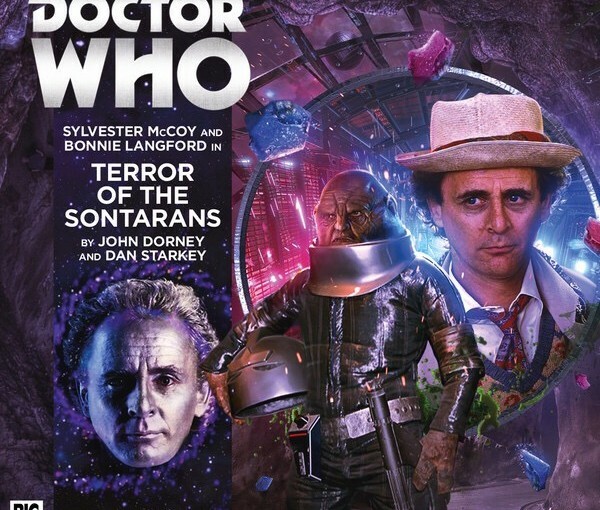 Bonnie Langford and Sylvester McCoy are flawless here, they sound exactly the same as they did in the 80’s, at times it’s as if they’ve just finished recording an episode for the BBC and entered the recording booth for Big Finish. Langford really suffered on the TV series, but Big Finish have given her some solid material, that really allows her to shine. 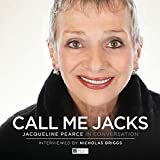 She is fast becoming my favourite Big Finish companion. The direction is also spot-on, by the ever-reliable Ken Bentley. Big Finish have been consistently good this year, I can’t wait for 2016. Big Finish have confirmed a second series of Torchwood audios will be available from March 2016. The news came just one day after the release of Torchwood: The Conspiracy. Another six Torchwood releases are currently in pre-production for 2016. Series 2 will begin in March 2016: just one month after concluding instalment of series 1. “Everyone involved’s just had so much fun that we didn’t want to stop”. The new series will continue the adventures of Captain Jack Harkness (John Barrowman) and his team, with stories taking place at different points in Torchwood’s history. I couldn’t really imagine that the response to our Torchwood series wouldn’t be positive, So I’m very pleased not to have been proved wrong. The series has so many dedicated followers and the audios have been written, directed and produced with such love for the source material. 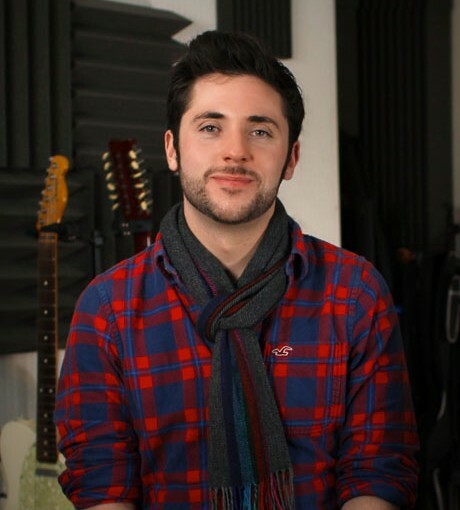 James Goss, as producer, has brought so much enthusiasm and joy to the project. I find myself hoping every day that I’ll receive another excited email from him. And we’re so grateful that the brilliant stars of Torchwood have come in to record and have been so bloomin’ good! Russell T Davies has been so supportive and full of encouragement too. Frankly, we had no choice but to get on with a second series as soon as possible. 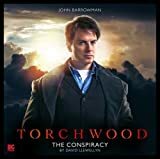 Torchwood: The Conspiracy is available to buy and download today, starring John Barrowman as Captain Jack Harkness. Listen to our review here. 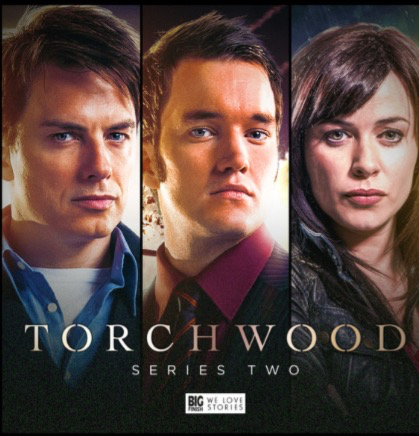 Series 1 continues in October with Torchwood: Fall to Earth, starring Gareth David-Lloyd as Ianto Jones, followed in November by Torchwood: Forgotten Liveswith Eve Myles as Gwen Cooper and Kai Owen as Rhys Williams. Three further releases will follow at monthly intervals. Torchwood returns on audio form today and, Big Finish are ready. To celebrate the release of Torchwood: The Conspiracy they’ve released the new theme on soundcloud. The man behind the new theme is BAFTA-nominated composer, Blair Mowat. 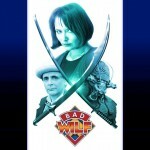 Blair recently worked with Murray Gold on shows such as Doctor Who and Life Story, and also composed the opening theme for The Doctor Who Fan Show. I love it, it’s reminiscent and respectful to the original Murray Gold theme, yet completely new and fresh. 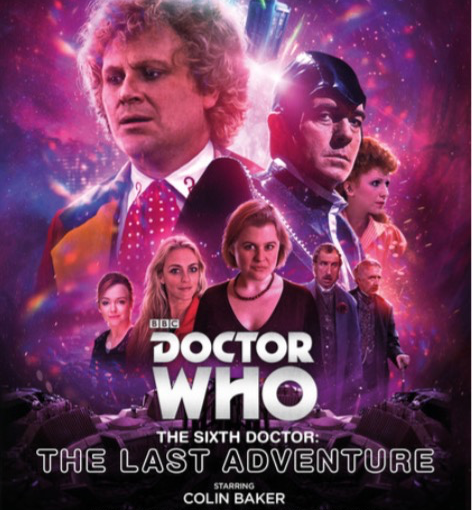 Get the The Sixth Doctor: The Last Adventure, early. 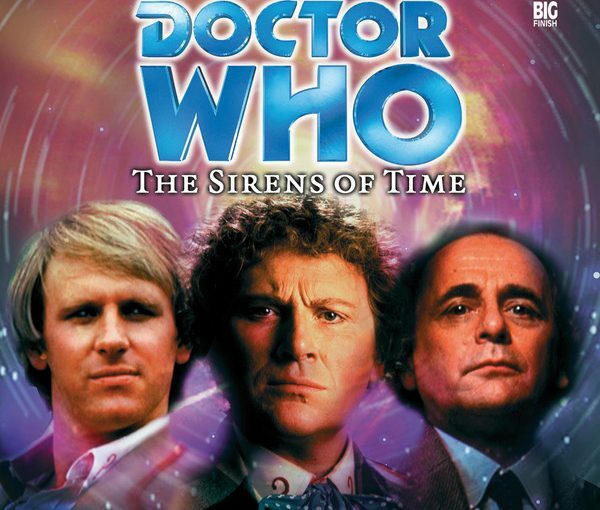 Older who fans may remember that the Sixth Doctor didn’t have a proper regeneration story. So Big Finish are rectifying that. If you’re a Big Finish customer you’ll be able to download it via their website on Monday the 17th. Everyone else has to wait six more weeks. 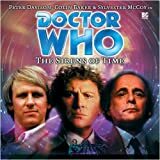 This eagerly awaited box-set chronicles the Doctor’s ultimate battle against the Valeyard (Michael Jayston), the malevolent distillation of the Doctor’s negative impulses. 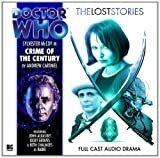 The four adventures involve a commuter train that has lost its way, a werewolf-infested town on an alien world, strange events on the stage of the New Regency theatre in Victorian London and the space station where their rivalry began in 1986’s The Trial of a Time Lord. Check out the trailer below. 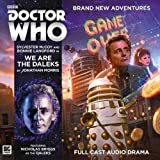 We are the Daleks kicks off a band new era for Big Finish, after 200 releases they’ve decided to draw a line in the sand and provide a fresh jumping on point for new listeners. Each Doctor will be heading up a new trilogy of stories, first up is the Seventh Doctor and Mel. The year is 1987, and Britain is divided. In Bradford, strikers are picketing and clashing with the police. In the City of London, stockbrokers are drinking champagne and politicians are courting the super-rich. The mysterious media mogul Alek Zenos, head of the Zenos Corporation, is offering Britain an economic miracle. His partners wish to invest – and their terms are too good to refuse. While the Doctor investigates Warfleet, a new computer game craze that is sweeping the nation, Mel goes undercover to find out the truth about Zenos’s partners. The Daleks have a new paradigm. They intend to conquer the universe using economic power. The power of the free market! This is a great place to jump on. 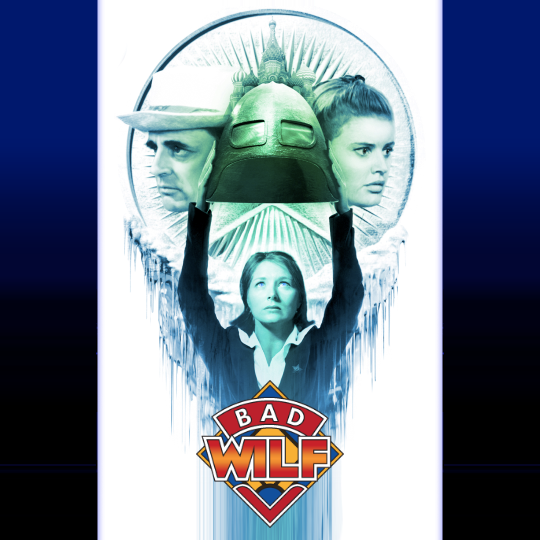 It’s an old school Dalek story that works on multiple levels – it feels familiar, yet new. It pays homage to previous Dalek stories of that era. It also takes a satirical look at Thatcherism and the “greed is good” campaign. McCoy shines in this, he’s my favourite classic era Doctor-he’s my Doctor. His final speech to the Daleks is chilling, it’s is up there with Matt Smith’s speech in the Pandorica Opens/Big Bang. What’s also great about Big Finish is that they’ve managed to give characters a second chance. Bonnie Langford was extremely underserved on the TV series. Producer JNT wanted her to play Mel as Violet Elizabeth Bot. Big Finish have unlocked the potential of Mel Bush, they’ve turned her into the companion she should have been on TV. This is a multi-layered story about ambition, greed and the exclusion of all that’s decent. There’s also a dig at Michael Fish. 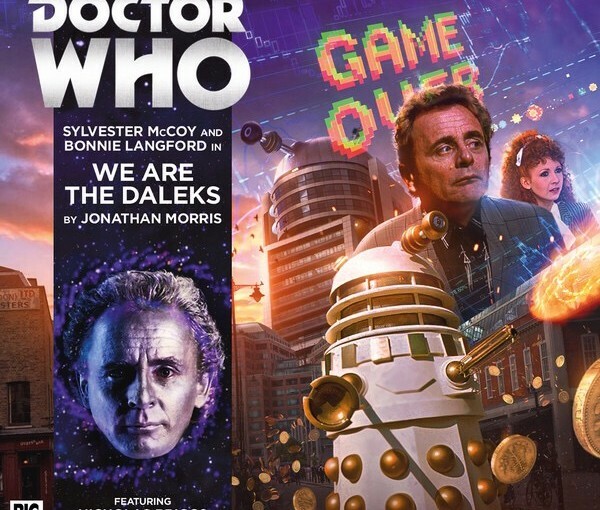 This is a great start to the new era of Big Finish. In which Martyn and Pete talk about the latest Doctor Who news, including the casting of the new Companion. 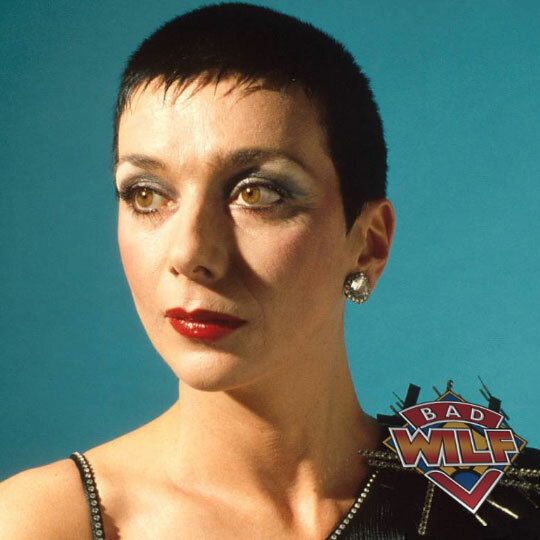 Pete and The Pharos Project interview actress Jacqueline Pearce at the launch of her autobiography from Fantom Films. 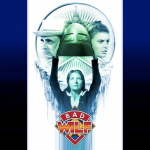 In which Martyn and Pete look at the Big Finish production Crime of the Century. In which Pete and Martyn are joined by the wonderful Phil from the Who’s He Podcast. 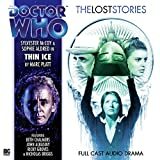 They discuss the SFX Weekender, the Big Finish audio Thin Ice and the Official Doctor Who Convention (Martyn will be there). 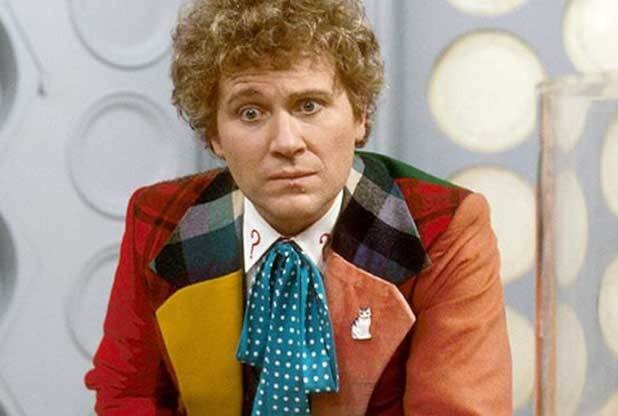 Colin Baker had the role of Doctor Who at a point in time when the British Broadcasting Corporation was experiencing what can only be described as an explosion of internal politics. Producer fighting executive, new talented writers being stifled, little or no budgets for shows. For the first time, Doctor Who was put on hiatus for 18 months. The show returned with new effects, a new theme arrangement from Dominic Glynn and a shorter 14 episode single story arc. Popular writer Robert Holmes wrote the majority of the season and, under a single title, ”The Trial of a Time Lord ” came kicking and screaming back onto our screens. In The Sirens of Time, fan service is performed to a five-star degree. In the first moment of Part One, a Gallifreyan tannoy voice delivers an alert in accurate, Deadly Assassin style. The meeting of the Doctors’ minds later on is a good mix of the sound heard in The Three Doctors and something better suited to accompany the memory flashbacks that the three share. Each of the three Doctors get an episode to themselves then converge in the conclusion. In practice, this story structure is a bit disorienting. The three short pieces don’t get much time to develop before the fourth on Gallifrey gets into gear. Although the plot seems to have no holes it doesn’t come together in the way I imagine the makers hoped. Doctor Who is usually better for me in reruns and this was no exception. Doubtless most of the actors will have completely forgotten having done this job but that’s fine with me; they’ve left behind some good performances. I hope they had some laughs and maybe earned a penny or two because my side of the equation’s worked out pretty well.